On the occasion of my fifteenth anniversary, here is an expanded version of a post from a few years ago. Many of you have written to me over the years to express your appreciation for my work and your support for me against the opposition that my work has aroused. Your letters are always gratefully appreciated, but the truth is, they are almost always addressed to the wrong person. More precisely, they should be primarily addressed to another person. Sure, I've had a tough time dealing with bans and condemnations and threatening phone calls and dedicated hate-sites and so on. But at least I have the benefit of being very passionate about science and hyraxes and so on, and of having many people speaking to me and giving their support. There's another person who also suffers from the flak that is sent in my direction, but who was never particularly interested in the intersection between Torah and science in the first place. I am talking, of course, about my wife, Tali. When my wife, as a starry-eyed idealist, married me fifteen years ago today, she had no idea what she was getting into. 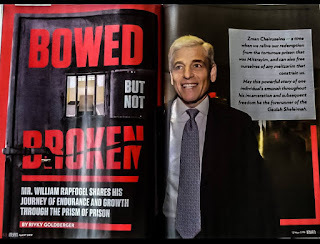 At that time, my work was popular across the board; her old teachers from seminary would quote my works, and I was featured on the cover of Mishpachah magazine. She was a little surprised to discover that I was writing a book reconciling evolution with Judaism - actually, more than a little surprised - but offered her full support nonetheless, even buying little plastic dinosaurs for the book launch. Then, a few years later, everything changed. There were posters in the street and editorials in the newspapers delivered to our home that were condemning my books. Some of my wife's old teachers started circulating letters viciously attacking me. The "Gedolei HaDor" declared my writings to be heresy! Even I was constantly asking myself whether I was in the right; imagine how much harder it was for my wife, who was never passionate about "rationalist Judaism" in the first place. Not to mention having to deal with a husband who was falling to pieces! And worst of all - perhaps the most horrible moment of our lives - was when she received a phone call relating a threat to the lives of our children. Yet she stood by me. More than that - she gave me unwavering support. It's no exaggeration to say that I could not have gotten through that turbulent period without her. Furthermore, it's not as though the controversy over my work has been the only challenge that my wife has had to endure as a result of being married to me. And I'm not just talking about having to deal with a husband who maintains a blog. When we were dating, I told my wife that my days of keeping pets were long behind me. I think that I even believed it myself. Ha! Over the last few years, my wife has had to deal with chinchillas turning on videos in the middle of the night, bats in the bathroom, and hyraxes on the couch. Her red line - no snakes - somehow fell by the wayside. I've appropriated (okay, stolen) her kitchen utensils for cooking locusts, and taken over the bottom shelf of the freezer with certain Items that I feed to my giant monitor lizards (though, to my credit, at least I put on a warning label saying "GROSS STUFF - DO NOT OPEN"). When I was accumulating specimens for my forthcoming museum, I filled up our basement and the childrens' bedrooms with all kinds of bizarre items, from live reptiles to stuffed carnivores and ungulates and birds of prey. My wife also has to be worried about her husband having dangerous close encounters with lions and leopards and bears and wolves and great white sharks. When I go out of the country - which is quite often - things can get even more challenging. Once, during a harsh winter night, my wife noticed that our giant iguana, Billy Bob, had failed to return from his outdoor enclosure to his night-time heated area. Concerned that he would freeze to death, my wife actually donned gauntlets, went outside in the cold and rain, picked up the enormous and repulsive (to her) reptile, and staggered back with him to stuff him into his sleeping quarters. Such mesiras nefesh! Now that I've opened my museum, it's true that our house is much more spacious, but there are new challenges. Setting up the museum was an unbelievably difficult and stressful period. Running it makes enormous demands on my time, especially during vacations, which is busy season at the museum. And there's no getting away from it; when we went away for Pesach, I was on the phone dealing with a hyrax with birth complications; when we went away for a day last Chanukah, I was on the phone dealing with an electrical fire at the museum; when we went away for a day this week, to celebrate our anniversary, I was on the phone dealing with an escaped monitor lizard. So, here's to my wife. Thank you for putting up with everything with good grace and cheer, and for supporting me through the tough times. And to my readers, I will quote Rabbi Akiva's words regarding his wife - "What is mine and what is yours, is due to her." Three cheers for Mrs. Slifkin. Since we all love your husband, thank you so much for standing behind him and giving him courage to continue. No one needs to know what goes in the confines of your private life. Modesty is one of Judaism’s defining qualities. Natan you have slipped too far……I beg you come back! – Step back be objective! You must recalibrate your internal GPS. It’s just not possible that the whole world has it wrong and only you are right. Just listen to these words. It’s very frightening to see someone so bitter and resentful as to dispose of our majestic and beautiful way of life – as only Torah true Jews posses. You were wronged, I don’t deny that! It was terrible all that you suffered through. Be brave and courage’s put aside your personal hurt and realize what’s really important in life. It’s just not important enough to convince the world that the Talmud sages didn’t have scientific knowledge. It’s more important that people understand the Torah and its concepts, then to know the sages erred. We haven’t been duped with ignorant sages even you know that…….we just don’t have answers to everything. Tishbi Yetaretz…….when Eliyahu comes he will answer all your questions……just be patient or rather impatient for him to come! "It’s just not possible that the whole world has it wrong and only you are right." Correct. Which is why I don't remotely believe that. I think that the thousands and millions of people who agree with me on all these issues are all correct. "It’s very frightening to see someone so bitter and resentful as to dispose of our majestic and beautiful way of life – as only Torah true Jews posses"
Since I haven't disposed of Judaism, are you referring to being charedi? "It’s more important that people understand the Torah and its concepts, then to know the sages erred." Why can't they understand both? "just be patient or rather impatient for him to come!" I'd rather teach the views of the rationalist Rishonim, which are true, traditional, and beneficial, thanks. "It’s just not important enough to convince the world that the Talmud sages didn’t have scientific knowledge. It’s more important that people understand the Torah and its concepts, then to know the sages erred." Great post; your wife is a great and patient woman (wives are like that). Don't change a thing and do NOT stop posting on this blog or writing books. In other words, please carry on! In rationalist Judaism Eliyahu will never come. It is just another myth. See Radak on Malachim. @Modern_Orthodox: This is your most unhelpful comment yet. It is immodest to thank your wife in a blog post? If anything, your post is quite is immodest as an attempt to "rebuke" someone in public. Rabbi Slifkin's email address is public if you want to email him more "sage" advice. I think that you've crossed into trolldom. 2. You do realize what "teiku" actually means, right? Tzvi Adams, your definition of rationalist Judaism in your brief comment doesn't appear to fit into the Orthodox spectrum in that you casually dismiss the 'return' of the prophet Eliyahu as a myth despite a clear reference to him by the prophet, Malachi. The final words of the last prophet, "See, I will send you the prophet Elijah before the coming of Hashem's great and awesome day..." (Malachi 3:23) are not to be so treated. We don't properly understand Elijah's manner of leaving the world and so can't be expected to understand a return after millenia. However you wish to understand that verse, it is far more significant than some rabbinic myth. 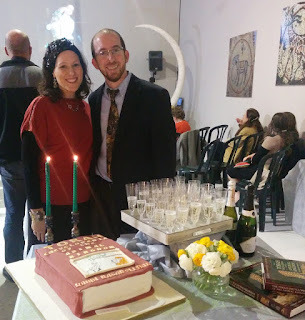 Concerning the post, mazal tov to the couple and gratitude to Tali for supporting Natan in his struggles against the Hareidi opposition to his ideas. Y. Aharon, I don't see any reference to a Messiah- at least not in the traditional understanding- in that verse. Of course, the traditional view can be seen in quite a few of the other prophets. But leave that aside: For about two millennia, Jews developed a very specific idea of what the redemption would look like. And now it looks like it's not happening that way. We can reexamine our assumptions, which certainly has a place in Jewish thought (Abarbanel certainly did), or dig in our heels. The latter is not very productive. Natan you have slipped too far……I beg you come back! – Step back be objective! You must recalibrate your internal GPS. It’s just not possible that the whole world has it wrong and only you are right. Just listen to these words. It’s very frightening to see someone so bitter and resentful as to dispose of our majestic and beautiful way of life – as only Torah true Jews posses." Couldn't agree more, if you just switch the word "Natan" with "Kanaaim" or "Hareidim". "And now it looks like it's not happening that way"? Until it actually happens we know nothing at all about how it will look! Nachum, I don't understand your comment. I made no mention of a Messiah (although I certainly believe in the coming of that person who has been the subject of more than a number of prophesies by Isaiah, Micha, and others). I just alluded to the fact that Malachi prophesizes Elijah's return. The traditional belief is that Elijah will return just prior to the coming of the messianic age and facilitate that advent. I also note that you appear to question the traditional ideas about that advent - although not as strongly as Tzvi Adams denies the return of Elijah. Need I remind you that the preeminent rationalist among the Rishonim, the Rambam, lists belief in the imminent coming of the Messianic Age among his 13 essential dogmas. What is it about current events that leaves you skeptical? The fact that Rav Zvi Yehuda Kook and the late Lubavitch Rebbe - among others, were convinced that the Messianic Age was upon us, doesn't imply that our age-old expectations were false - only that they, as well as many others in Jewish history, were mistaken. The fact is that no normal person - much less a religious one, can be a strict rationalist. Beliefs are a necessary part of normal life - whether belief in some people, or a divine, caring Deity, or in a Jewish mission, or that natural law will not change tomorrow. What makes some of us rationalists is the rejection of views that run counter to reason. Well, a major part of the belief in the Geula involved the Jewish people returning to Israel and a return of Jewish sovereignty in the Land. I don't think it can be denied that everyone thought it would happen under the leadership of a single individual, Mashiach. And yet somehow over six million Jews are living in a sovereign Jewish state, and we can't identify any single individual who made it happen. Of course, the Mikdash still needs to be rebuilt, people could be a lot more religious, and peace needs to be achieved. And who knows, maybe there *will* be a single individual behind all that. But, considering what's happened so far, maybe there won't be, or at least we won't know who it was until much later. (Rebuilding the Mikdash, for starters, is an independent mitzvah.) And then what? Do we move the goalposts again? The Rambam says that Mashiach has to be a king. In 1200, there were no countries in the world *not* governed by a monarch. Abarbanel, living in a thriving and powerful republic (Venice) and seeing many others, felt that expectations could be adjusted. Maybe just stop being mevazeh talmidei chachamim, and your wife will suffer less. Amsterdam, as Rav Slifkin oints out, being mevazeh talmidei chachamim is a relative thing. Unfortunately many of today's so-called chachamim bring themselves into contempt. They certainly don't need Rav Slifkin's help. But I was confused about the Thanksgiving reference which at first appeared to be Torat Chu"l (that is Chutz L'British Empire). But then I saw this: Thanksgiving 2015: Sorry America but your holiday is actually English. So it all makes sense now. Also, things were a lot easier this year with the new definition of K'zait. Trying to eat an 8x10 square of turkey within 2 minutes was never enjoyable. Happy 15th anniversary, Natan & Tali. You are wonderful role models for all Jews. Nice tribute. Happy anniversary. May you share many more years together in health and happiness, and nachas from your children. Wishing you and the patient Missis all the best and many, many years together. I think it's the tone more than what you said. In the Camel, the Hare and the Hyrax (or whatever it was called) you were quite 'dismissive' of opinions from Rishonim/Acharonim you felt made no sense. Even me, who is a broadly educated broad minded Londoner felt this. In the Yeshiva world, we are always careful to say "We can't understand what Rashi means", or "We don't follow that particular Rabbi Akiva Eiger" rather than using phrases like "Rashi clearly was misled here by .....". This are examples only, and it's something you either understand or you don't. Obviously, the academic world has no such qualms. Given the charges of Kefirah, this sounds like retrospective rationalization. Nevertheless, can you please quote an example (or preferably a few) of this from the books? "Tosafos explains the Talmud’s statement, “But was Moshe a hunter or trapper?” to be referring to the previous statement that the shesuah is a type of animal. He understands the intent of the Talmud’s argument to be that Moshe could not have been familiar with such an unusual creature as the shesuah unless the Torah was divinely dictated. Yet Tosafos’ explanation of the Talmud’s argument is extremely perplexing." interpretation of the verse, not a literal translation." Are these what you are talking about? In the yeshiva world we are worse than dismissive when we come across a Rishon who has a non yeshivish opinion. Can we get more dismissive of Rambam than calling hi opinion kefirah? koillel nick, WADR in which yeshiva world is this? I've always encountered a context of overwhelming awe for Rambam when "dismissing" him, and much hesitation or indirectness when calling his opinions kefirah. Or actually if I recall correctly I never personally heard anyone talk this way in yeshivah about Rambam or any other Rishon. go to your yeshiva, and tell them that Hazal made mistakes in science, or that magic and demons never existed, and that there is no need to give money to support Torah students. at my yeshivah where virtually everyone wore black hats and they discouraged college only occasionally because neither the students nor their parents had much interest in the first place, the RABBEYIM would mention that according to rambam magic and demons never existed. That Hazal made mistakes in science-- you could mention to your friends in rambam's name without fear. that there is no need to give money to support Torah students-- was never discussed, but rambam's view that you can't support yourself from torah was well known and mentioned when it came up. it never dawned on anyone that a rishon's view that we didn't go with lowered that rishon's status. is rabbeinu tam second class because we don't wear his tfillin, or do hundreds or thousands of other times that we go against some rishon diminish them? But I haven't been to the whole yeshivah world. Maybe what you're saying is true in the yeshivah world that you're familiar with. Among the many many people who were shocked by the campaign against rabbi s were alumni of the gamut of yeshivahs. I think you'd have to quantify your claims. My transformation to a "rationalist", or rather "m'korei" Jew was likewise difficult for my Neve-bred wife. We've suffered so much for it. But she's stuck by me, even when the intellectual pursuit was not her own and when all of her "support" rejected her because of my beliefs. We're now coming out the other side of this painful process. As a result, we've got a great family with very happy, Torah observant children who are rich and vibrant. They've seen that we keep the Torah because "HaShem said", and not because of basar v'dam. One of your best (most poignant) posts. Sounds like Hashem had a real challenge when it was time to create your bat zug. But He made a real treasure for you, one who deserves this public tribute. May you enjoy happy procuctive years to 120! Wonderful post - Happy Anniversary! David, I was referring to the specific allegation of being mevazah talmidei chachomim (not kefira). And no, I can't quote specific chapter and verse of that book. Like I said it's the tone and its either something one is sensitive too or not. Better to write "one explanation for rishon x's opinion is that he never saw olives, but that raises its own difficulties..."
But as the author's works are presented as academic dissertions rather than traditional torah writing, that style simply won't get the PhD. And that's the allegation. Introduction The chachmei hatalmud didn’t put scientific information into the Talmud for vain reasons and if they did they must have had a very good reason. (and it wasn’t to write a science book)"
Of course the name M_O is completely incongruent with the "about me" and with all your recent comments. Farces such as this end up backfiring. And reflect badly on the community from which people surmise you come from, unless you aren't representative of it. Mazal tov! Many happy years! Happy anniversary - and we hope you both keep up the good work! I can't quote chapter and verse - my point was it's the tone. And I was referring solely to the allegation of mevazeh talmedei chachomim. Look at the Evolution of an Olive. "Rishon X says what he did because he never saw an olive". Which leaves the impression, sublime or subconscious, that rishon X is somewhat stupid at worse or unprofessional at best for offering an opinion on something he had never seen. Whether or not this theory is correct is not the point here, its the tone and impression it gives to the reader. An alternative more respectful way of writing is "One possible explanation is that Rishon X never saw an olive, but that explanation also has obvious difficulties." But these works are presented as academic dissertations, not torah writings, hence the style which is acceptable in the academic world, but not in the torah world. All I can say is that when you very kindly let me, and a group of friends (all ex A level students, broad minded) take a look at a very early draft of the Camel, Hare and the Hyrax many years ago in Yeshivas Mir, it was the tone that disturbed and the way you dismissed views, opinions and solutions you disliked, however eminent the talmudei chachomim they were from, even though you may have very valid arguments against them. Still I have quoted the olive issue above, so that is at least one example that could have been phrased more respectfully for 'chareidi' readership that treat Rishonim with a tremendous amount of respect. The solution that the Rishonim did not see an olive, yet wrote about shiur kzayis is hardly deferential to them in the way required. A blog post, penned by yourself, disputing there is a problem with the tone, doesn't actually prove anything! See the comments to that post for a bit of variety. As I wrote in the post linked above, "tone" always turns out to mean "approach." Furthermore, styles of speech vary from community to community. There is no doubt that my approach is deeply offensive to charedim. However, that is not reason for me not to adopt it. Also, I must dispute your characterization of charedim as people who "treat Rishonim with a tremendous amount of respect". Charedim freely edit and censor the words of Rishonim, and/or claim that the Rishonim have fundamentally perverted understandings of Torah. That is not very respectful. what are the obvious difficulties? had rabbi s mentioned and explained in the book's introduction how these things don't reflect badly on the rishon, would that remove the obvious difficulties?